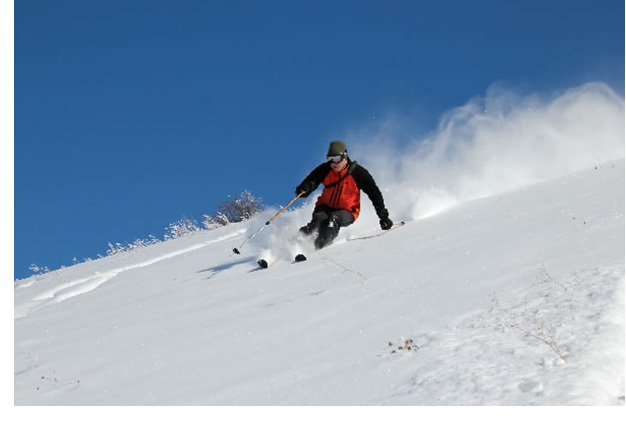 You will find ski slopes at Ober Gatlinburg. To get there take the aerial tramway from downtown Gatlinburg or drive up Ski Mountain Road and park your vehicle. Other activities are available at Ober aside from skiing -- something for all ages -- Snow Tubing, Ski Mountain Coaster, scenic chairlift and indoor ice skating. A wildlife habitat exhibits American black bears, river otters, bobcats, raccoons, skunks, flying squirrels, a red squirrel, eight different bird of prey species, and a variety of reptiles, amphibians, and fish. Children can have fun at the Cubbies Snow Zone -- a play area just for kids. At Ober there are food vendors and restaurants, shops, and a sports outfitter. On the Mountain Coaster, riders are in control of their own speed for 2750 ft of turns, dips, zig-zags, corkscrews and G-force adventures.